The first outdoor cricket training session will be held on Monday 22nd April, 5pm-7pm. This will also be our registration evening, with a BBQ lit and the bar open. We are excited to announce that we have a youth sponsor this year, who will contribute towards the cost of a new Stroud CC shirt for each player, and ensure further support for the youth. A big thank you goes to Key Intelligence for their support. This year we have made the decision to increase the membership fees. As part of these fees every child will receive a new Gray Nichols cricket shirt with the Stroud CC logo and sponsor logo. Fees are £60 for the first child and £45 for siblings. 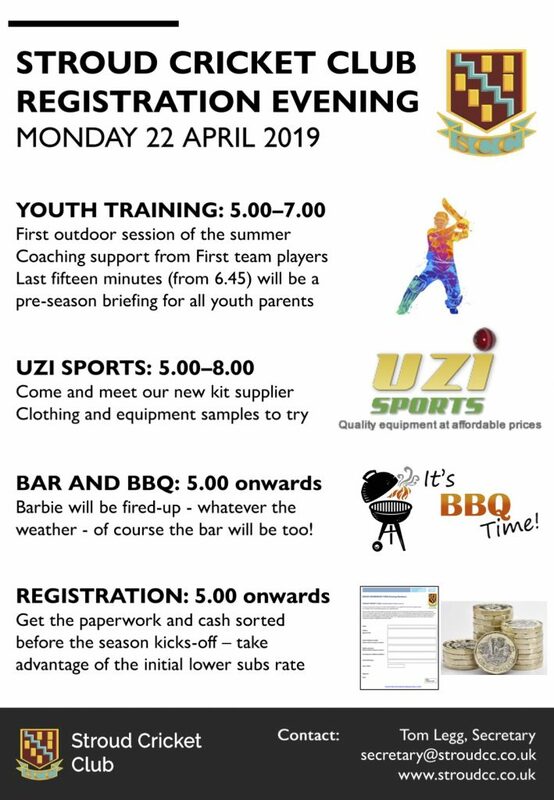 We have a new kit supplier this year, Uzi Sport, and they will be present with samples of clothing. At 6.45pm there will be a briefing to parents about the expectations for this coming season. We are always short of volunteers and we hope that most parents will be able to become involved in some form or another eg. preparing interval drinks, help with scoring/ umpiring, setting up the pitch, collecting match fees. It doesn’t have to be much, but it all contributes in a big way for the coaches and managers of the teams. If you are interested in umpiring, but aren’t confident, there is a course being held on Wednesday 1st May at Frocester Cricket Club. This is free of charge and for anyone to attend. If you are interested, please let me know and I can make sure your name is down. We are also looking into some scoring training, further details will follow as soon as this has been confirmed.